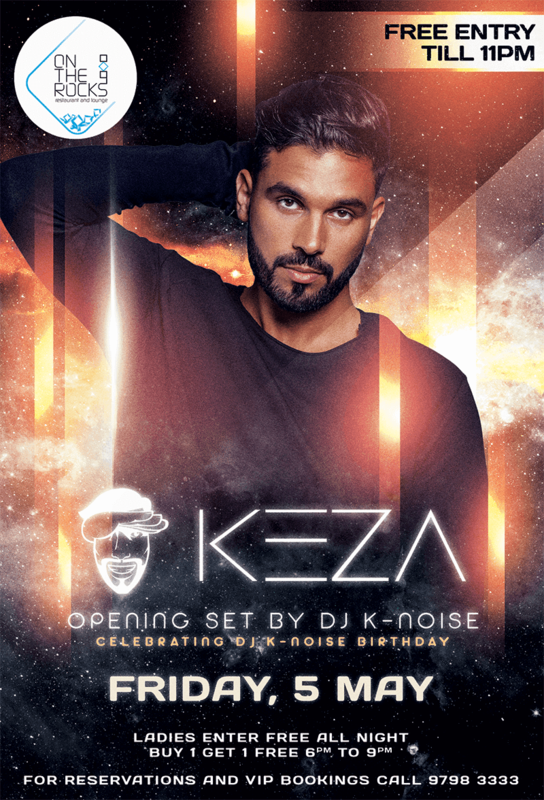 Tomorrow night at On The Rocks sees French DJ Keza pop down from his usual stomping grounds in Dubai for a Hip Hop and R&B night. Get there before 11pm for free entry (mind you ladies are free all night). For early birds, there is buy 1 get 1 free from 6-9pm and you can make reservations and book VIP tables by calling 9798 3333.